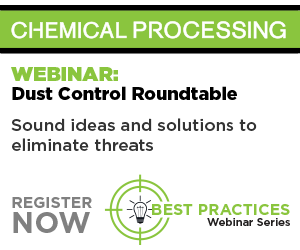 Chemical Processing’s second installment of its Process Safety series of webinars addressed due diligence. Featured speaker Trish Kerin, director of the IChemE Safety Centre, Institution of Chemical Engineers, stressed to attendees that they must be willing to genuinely listen and take action when it comes to process safety; otherwise, workers will no longer report red flags because their concerns are ignored. While the concept of due diligence in business has been around for a long time, it is now being applied specifically to safety and by extensions process safety. No matter what role you have in an organization, you can be a safety leader. This webinar explored the concepts of due diligence and how they apply to process safety. Kerin offered insight on how to provide for the best possible business outcomes, because good process safety translates to good reliability and productivity. Having a near-miss and accident database isn’t enough; you need to do something with it. What you walk past is what you condone. The chemical industry by nature has high-risk processes. Learn to balance and manage that risk. Checklists are good and bad: They help you remember steps but they also lead to the “tick and flick” mentality. Is your safety data accurate? Many operators manipulate the data to show what they think leadership wants to see. Kerin warns that the green lights on your dashboard could really be watermelons -- once you investigate and cut them open they are red. You can watch the on-demand version right now, which features a Q&A from audience members. You can also earn professional development hours from the Mary Kay O’Connor Process Safety Center and Texas A&M Engineering Experiment Station by filling out the exit survey at the end of the event. Register here.